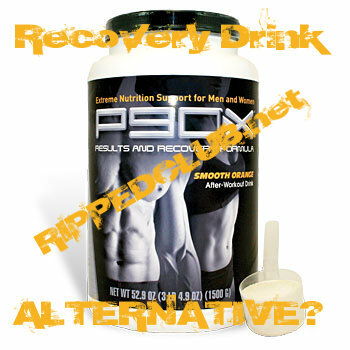 I get asked quite often if there is a P90X recovery formula alternative. A lot of people including myself are on a budget and half to spend your money on the supplements that get you the most bang for your buck. Usually its the recovery formula that is one of the first items to go. 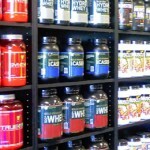 So what can you take instead to ensure proper muscle recovery? After all…muscle repair and growth happen at rest…after your workout. So its important that you use something for recovery. I am not about trying to sell you the Results & Recovery Formula even though I highly recommend it if you can fit it in your budget, so what I want to do is take a look at some P90X recovery formula alternatives for you to use. Before getting into the alternatives to the results and recovery formula, I want to be sure you understand what your body needs post workout for effective recovery. After an intense workout with a program like P90X or Insanity, studies have shown that post workout nutrition is the magic key to unlocking increased recovery rates. What does that mean. That means your muscles repair faster, you are less sore, and you can push harder in your next workout. All this adds up to better results. 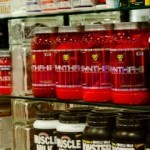 The ingestion of proper nutrients post workout have shown to be most effective in a 45min – 1hr “window of opportunity”. This means that immediately following intense exercise, your body is begging for key nutrients 45 minutes to an hour after your workout. 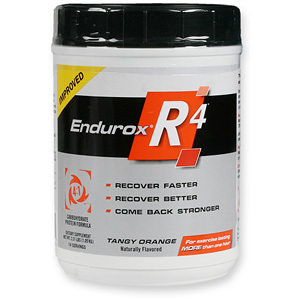 The purpose of a recovery drink is to replenish glycogen stores that have been depleted during high intensity activity. This glycogen fuel-up increases your rate of protein synthesis (your DNA’s ability to create proteins). When you ingest fast-absorbing simple sugars or carbohydrates like dextrose, your body increases its level of insulin production which results in the increased protein synthesis. Having a protein that metabolizes quickly, like whey protein is essential as well. This will aid the carbohydrates in the increased insulin production. Its simple really, you increase your protein synthesis and you increase your recovery time. This is something that is highly debated in the sports supplement community with no clear winner, but the optimal ratio of carbs to proteins that seems to be emerging as the winner amongst athletes, and the ratio that I recommend targeting, is a 4:1 carb to protein ratio. This means that if you have 4g of carbs, you should have 1g of protein…40g of carbs, 10g of protein…you get it. In addition to the optimal 4:1 ratio you will want to be looking for in a recovery drink, you will also want to look for creatine and glutamine. Both are essential for increased recovery and muscle building, and both are included in the P90X Recovery Formula. Endurox R4: You can find this on Amazon.com for around $49 for a 28 serving tub, which works out to about $1.75 per serving. I have taken This before and was not too fond of the taste. While it does have the optimal recovery ratio of 4:1, it does not include creatine or glutamine. Of course, those could be added separately. But if you are looking for a cheap P90X Recovery Formula Alternative, then that might not be your best option. Accelerade: This is similar to the Endurox R4 recovery drink in that it still has the 4:1 carb to protein ratio, and it seems quite a bit cheaper at about $36 for 30 servings on Amazon.com, which works out to around $1.22 per serving. However…to match the P90X Recovery Formula for a true alternative, you would need 2 servings of Accelerade as a recovery drink, doubling the price to $2.44 per serving. In addition to the increased price, Accelerade does not contain creatine and it uses sucrose rather than dextrose. It also uses milk and soy proteins which are much slower to absorb, defeating the purpose of fast-acting proteins needed in a recovery drink. Probably the cheapest P90X Recovery Formula alternative is Low fat chocolate milk. This is something fairly new and is growing in popularity. The brand that I looked at was Oregon Dairy – Low Fat Chocolate Milk which contained 26g of sugar, 8g of protein, 2g of fat, and 160 calories in a 8oz serving. To get the proper amount of nutrients from this, you would need 1.5 servings, or 12oz. 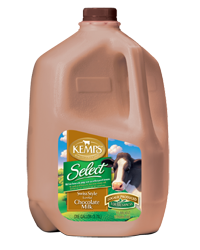 The average cost of a gallon of this Low Fat Chocolate Milk is about $3.75-$4.00, making about 10 servings at a price of $.37-$0.40 per serving. Now this is obviously a very attractive price, but there are other things that you need to consider before deciding that this a a proper P90X Recovery Formula alternative. Consider that 80% of the protein in low fat chocolate milk is casein protein which is a much slower absorbing protein than whey. The sugars that are contained in the chocolate milk also do not metabolize as quickly as the simple sugars in the P90X Recovery Formula. Nor does chocolate milk contain any creatine or glutamine. While the price is definitely right up my alley, I would rather have nutrients that were specifically designed for optimal recovery and not just sort of do the job. Its up to you though. Thats why I am writing this article! This is what I do when I run out of my P90X formula for a post-workout recovery drink. Its cheap, its natural, and it achieves the desired results! Its a mixture of Protein whey, fruit, and creatine, all blended together! Simple, I know right! For protein whey, I use Optimum Nutrition’s Gold Standard Natural Whey which I get on bodybuilding.com for $54.99. Its a 5lb tub and contains 71 servings. Since each serving (1 scoop) contains 24g of protein, I only use a half serving which works out to $0.38 per serving. For the fast acting carbohydrate to stimulate protein synthesis, I use a large apple or banana. This has natural sugar and it tastes phenomenal when its blended with chocolate or vanilla protein whey. At an average price of about $0.55 per lb, I can have a piece of fruit for about $0.20. For the creatine, I get a killer deal on bodybuilding.com on MusclePharm Creatine. This is a flavorless creatine so it can be added to water and still taste fine. The cool thing aside from MusclePharm using the most pure form of creatine, creapure, is the price. bodybuilding.com is always running a buy 2 get 1 free promotion on this stuff. So for 180 servings you only pay $43.98. There are 3 scoops in a 5g serving, so it ends up costing you $0.73 per serving. So the total cost for the most simple, cheap, BEST P90X Recovery Formula alternative is only $1.31. Compare that to the P90X Recovery Drink at a price of $1.66 per serving, you got quite the deal! On the other hand, as a Team Beachbody Coach, I get a 25% discount on my Results & Recovery Formula which makes it $1.24 per serving. Becoming a Coach is the easiest way to cut your cost on supplements! So Why Use The P90X Recovery Formula? For me, its convenience, taste, and assurance that I am getting the EXACT nutrients I need from one single source. Its worth the extra $0.35 per serving for an orange creamsicle, that delivers exactly what your body needs without having to worry about some fruit going bad, or making a ton of trips to the store for ingredients. You have an entire months worth of perfect post-workout nutrition in a tub. If you found my post on a P90X Recovery Formula Alternative to be helpful, be sure you like/share below on facebook. Also, be sure you leave a reply in the comments section and let us know what you use for a recovery drink or if you have a good Recovery Formula alternative! 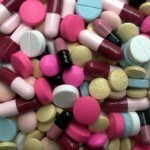 Do I NEED Supplements To Gain Muscle & Lose Weight? Hi Couch , I'm new to starting p90x3 I just have a few questions that I could use your help with. I'm doing p90x3 early in the morning at 6am , because this is the only window in the day I'll have the time to myself being a new parent it gives a slot before work and then home for daddy duty :-) . So my question is when should I eat breakfast? I've bought the p90x recovery drink so I'm guessing I take that straight after wards ? Can I eat a breakfast then or do I have to wait ? I have to be at work at 8am and breakfast isn't till 10am which could be to late to fuel up ? Also I'm have all the ingredients that you listed to make the alternative recovery drink but do I take the creatine separate before hand or as part of my recovery drink afterwards and how much ? @kevogel5 Hey man! I would say that it depends on how much creatine is in your C4. You usually want to have about 5g of creatine per day. Glutamine is a great supplement for recovery. I take it! Great, thanks! Now is this recommendation good for men and women? Also, what amount of glutamine would you recommend? @kevogel5 yes its good for men and women. I take 5g of glutamine per day after my workouts. Ok, great, do you also take it during the recovery week or on rest days? I plan on starting p90x3 classic in three weeks. My goal is to lose weight and gain muscle. I'm 5'9, 180 lbs with a target weight of 145. What should my caloric intake be? I plan on doing the whey protein, banana and creatine post workout. Would I take energy and endurance as my pre-workout, and how soon before? Anything I can do in these next three weeks to jump start my metabolism? Should I do a 14 day cleanse starting next week? Where I live in southamerica Chile I cant buy the recoveryformula soy im using this alternative you posted. Then post workout I mix 1/2 scoop of whey protein optimun nutrition 24g x scoop with half bannana and 200cc of water. What about of adding 5gr of l-glutamine and 5gr of creatine? Should I take more bcaa tablets post workout or preworkout? Take the 6 tablets full serving? Should i use a full bannana instead of 1/2 one? Is better to use bcaa preworkout or a full dose of why protein? Hey Todd, thank you for the good info ! 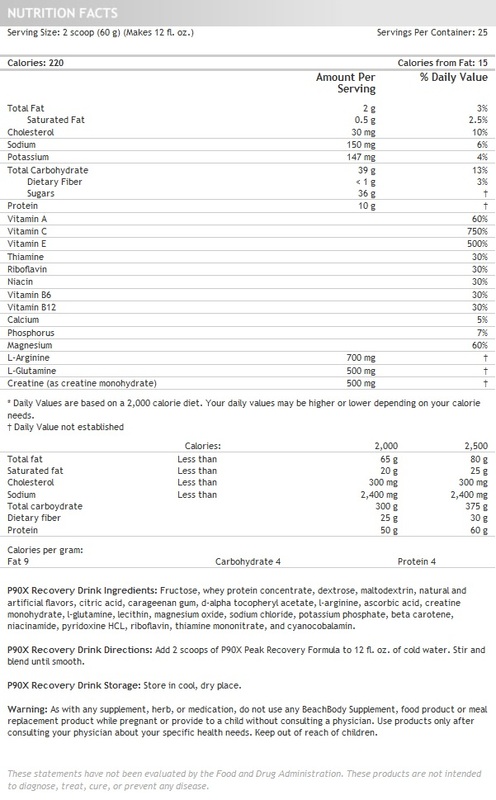 I was wondering how many scoops of gold standard whey protein after a T25 workout should I be taking, but without adding up creatine ? Thank you very much @coachtodd ! Should I take half a scoop when I first wake up ? Or just post workout ? @coachtodd Thank you very much. Appreciate the help. Hi there, thank you for the very good info! I was wondering though, for your alternative drink of choice (Whey protein, creatine, and an apple or banana), should you using perhaps a fruit and a half or even two? An average banana usually has about 24g of carbs, so would it be better if you used 1.5 bananas? @insub ya, just water man! You doin P90X or some other program? @coachtodd @insub hey todd, yeah i just recently finished my 60 days Insanity and on my third week for the second round. I can honestly say that prior to doing insanity i had doubts that programs like this would work but after the first month i lost 10 lbs!! Now i was not overweight to begin with but before the program i was 147lbs and clearly had a belly. Once i lost the 10 lbs, i knew it was working and after the first round i decided to look into the Results And Recovery formula...but as you know with some people $50 a month was a bit high so I looked for an alternative and thats how i ran into your site. Since my post i have started using Creatine for post workout drink and do exactly what you suggest. 5g of Creatine, 10g of whey protein, and a banana to keep that 4:1 ratio. So far it has been a week so hopefully this will help tone and get those abs i need!!! thanks so much!! @insub @coachtodd awesome bud! keep pressin play and keep me posted! Have you joined our team yet man? we got a killer FB group where everyone hangs out. I think you might enjoy that! Hey Bro...good stuff! just started Power 90...just finished my 2nd week and I already lost 18lbs. I need a coach...I desire to do P90X or Insanity next so it would be good to have someone to back me up! How much creatine do you recommend to put in each shake if I'm making it my self. Is it a full teaspoon scoop or 500 mg which is in the p90x formula drink amount? 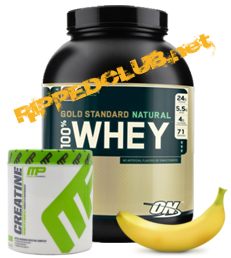 When you talk about the best alternative with the banana, whey, and creatine, what do you mix it with? All of those are dry so do you just blend it together, or eat the banana and drink the others with water? Would it be okay to blend it all together with a cup of chocolate milk, or would that be too much sugar and have unwanted effects? Hey Todd, Do I need to take Recovery formula after each P90X workout or just the weight training days? Today I do Kenpo and I don't know if I should take it after? Coach Todd, I have a question. Today I was at GNC and out of curiosity I asked the guy (who said he is a professional trainer) about recovery drink they have (or something similar). The guy told me that the only drink after workout must be a whey protein. From his words, the protein is important after workout, not carbs. I found this hard to believe, especially you said opposite. 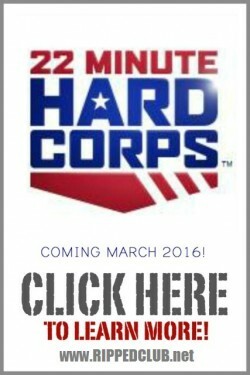 Hi coach Todd, awesome website. Im a bit baffled. I have just started p90x in the evenings an hour or so after dinner. I finish my workout around 9.30. Should I take the recovery drink during and straight after then casein shake an hour later just before bed? Coach Todd, Am I getting this right that I don't need to take any protein shakes (pre-made such as EAS Myoplex Build muscle or whey protein) after a workout? I'm doing P90x and take recovery formula only (no whey protein before workout). On the bottle I have (EAS Myoplex Buiild muscle) it says to take it immediately after workout. It contains 42 g of protein, 40g carbs and 300 calories. I'm new to this, so I'm quite confused how to take this stuff properly. on some days i have a protein shake in the morning (p90x recepie) but i put a scoop of maxi-muscle cyclone which has 5g of creatine mono hydrate. If i make the last recovery shake after my workout as you said, should I leave the creatine out as i have already taken my 3-5 grams of creatine a day? 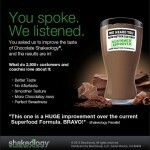 does the last recovery shake you recommended give a 4:1 carb to protien ratio? Can you also use the Optimum Gold Standard 100% Whey (not the Natural, but the one with the red cover)? Because the other one is not available in my country. hi i have a question so i will take 1/2 scoop of whey 1 banana and 3 scoop of creatine and mix them all right?after work out?thank you so much.. I weight train in the early morning, teach during the day, and I recently started the Insanity program this past Monday after I get home from work. I typically eat within the hour after my workout. Because I make dinner for myself and my boyfriend, is there a meal alternative that would be good for me to eat instead? I am limiting my calories at the end of the day, because I go to bed earlier around 7:30 due to getting up extremely early(3:30). So what I am getting at is........should I take the results and recovery formula AND eat dinner shortly after, or should I just stick to a meal. If just a meal, what would an example look like? I am 5'9" and around 150-160 lbs (haven't weighed myself in about a month). I am small-framed (not muscular at all, but have a small amount of belly fat), so just looking to fuel my muscles to recover from these types of workouts. Is what I am doing too much or not enough? You have a vast amount of information on your site and it is easy for my to get overwhelmed, because I tend to over-analyze all the information provided. haha..this really doesn't look like a attempt to give people an alternative for the recovery formula as much as it looks like a alternative way of selling the recovery formula. Todd the.recovery drink help.me lose my belly? How much water do you have with the final mix? Hi Todd - I have a question. The P90x recovery formula contains 50g protein per serving, yet your alternative suggests only 12g per serving. Is 12g sufficient? 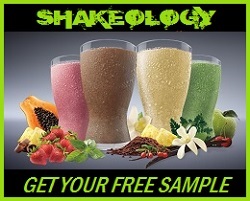 Will drinking a recovery shake help me lose the weight?